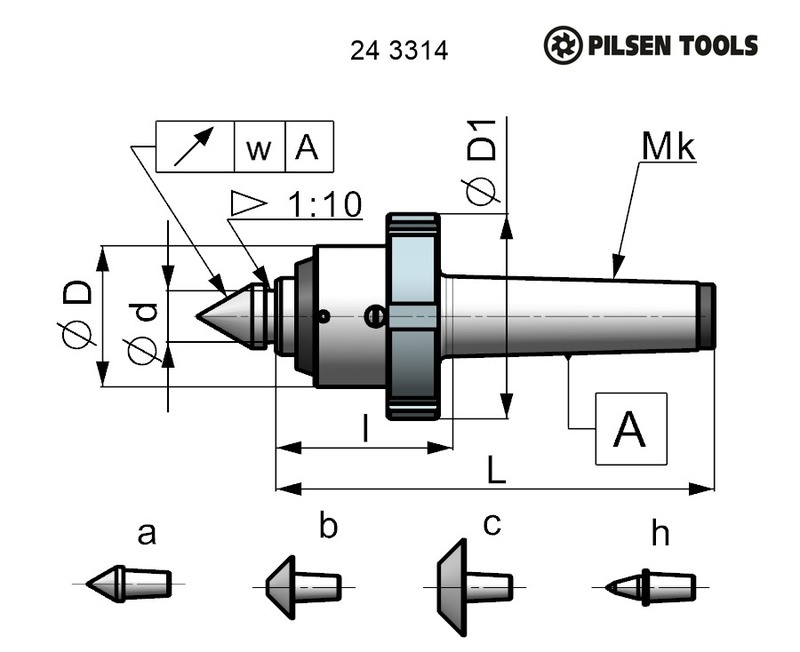 243314 LIVE CENTRES SILVER LINE - with forcing-off nut | E-SHOP - PILSEN TOOLS s.r.o. 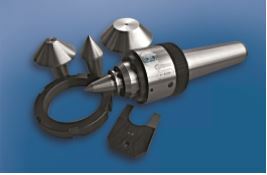 Live centres are determined for the clamping of workpiece on NC and CNC lathes. 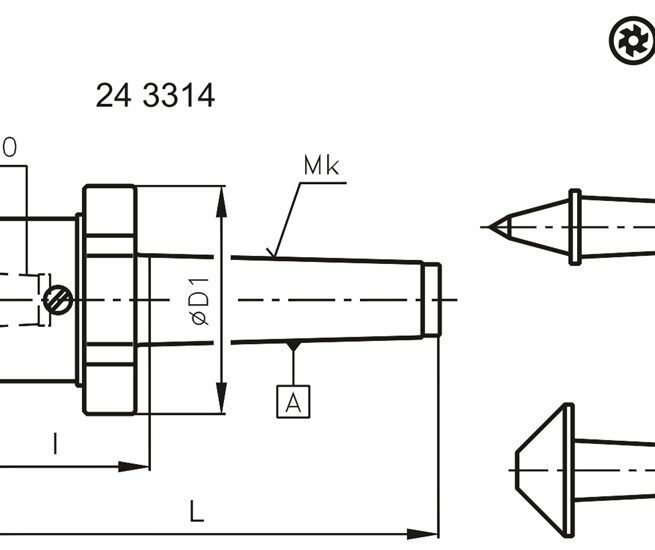 Clamping part allows easy access of the tool to the workpiece, it is useful by the machining shaped piece. 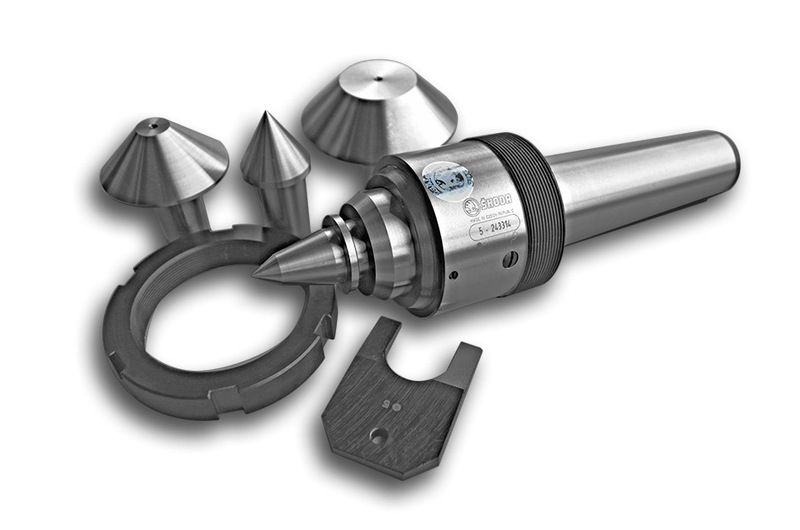 Design of live center allows to adjust the clearance in radial bearing in front of part of live center. 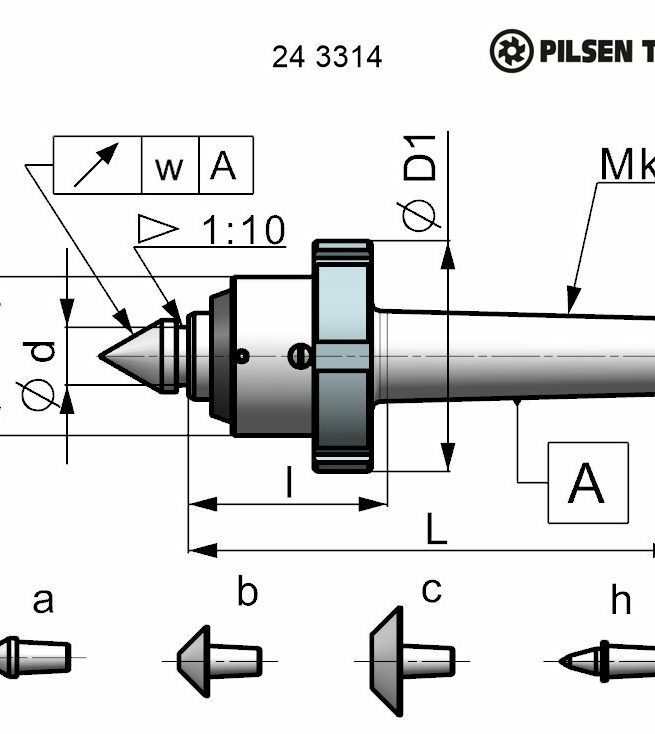 Live centres have Morse cone according to ČSN 2204208 (DIN 228, ISO296) without the clamping thread. 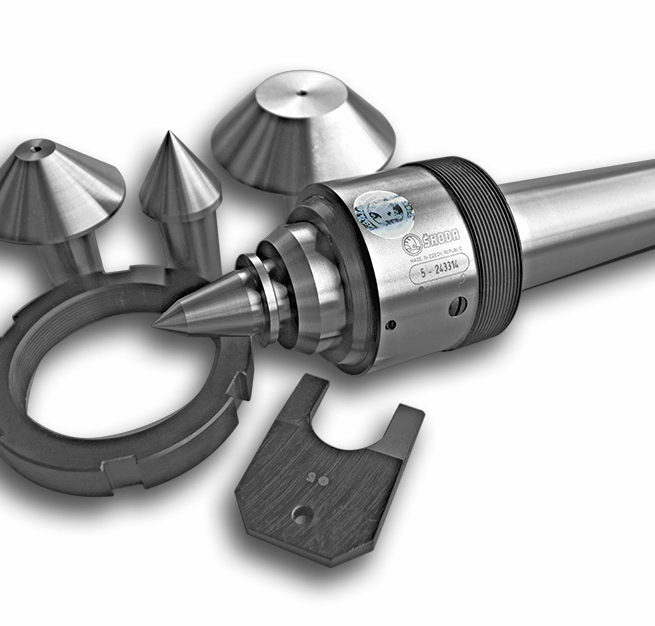 The exchangeable inserts allow universal use in various piece production. 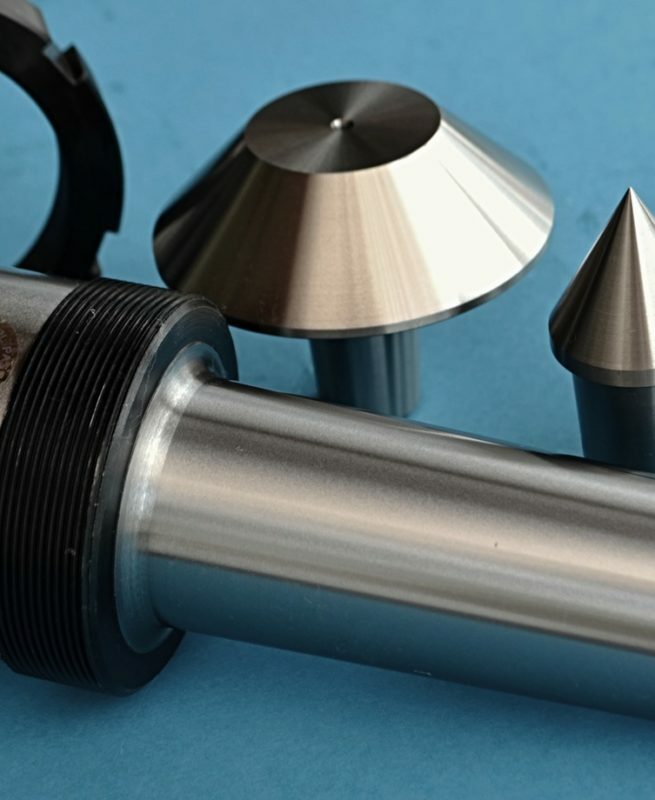 Live center is provided with the forcing-off nut for the easy removing of the live center from the machine spindle except of using of the exchangeable inserts. 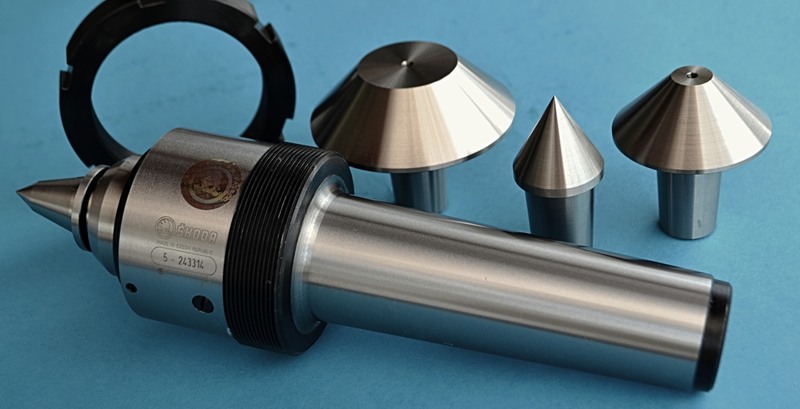 Protection of bearing from the ingress of coolant, dirt or swarf is provided by the built-in ring gasket which also prevent loss of lubricant. Due to this fact the working live is prolonged.